HIP is used in a range of applications to clad, weld and join dissimilar materials. For example, sputtering targets are made by HIP consolidation and diffusion bonding of the required coating material and its substrate. HIP creates essentially seamless diffusion bonds of similar and/or dissimilar materials with different melting temperatures. 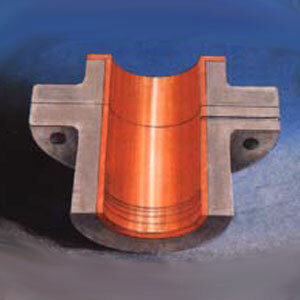 HIP is used for solid state diffusion bonding of complex configurations and materials which will not permit fusion welding. Fusion welds are densified by HIP. This not only improves properties and relieves welding stresses, but also improves inspectability because ultrasound scattering is reduced. In some cases, powder is consolidated and bonded to a substrate in one operation.